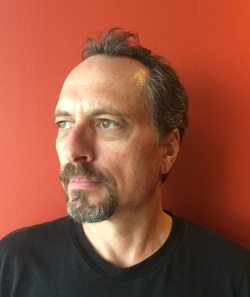 Craig Welsh is a Director of Photography and Lighting Supervisor working on fully CG animated features. Currently employed by Animal Logic, his most recent credits are for Lighting Direction on ﻿"The Lego Ninjago Movie"﻿ and "The Lego Batman Movie" and as Lighting Supervisor on "The Lego Movie" and on "Legend of the Guardians: The Owls of Ga'Hoole". Previously, Craig worked as a Lighting Artist/Technical Director at Sony Pictures Imageworks in Culver City, CA on "Monster House", "Surf's Up", "Cloudy With a Chance of Meatballs", "I Am Legend" and "Speed Racer", and before that as a Lighting Artist at PDI/Dreamworks in Redwood City, CA on "Shrek 2" and "Madagascar". Even further back in time, a previous stint at Animal Logic saw Craig work as a visual fx artist on many television commercials and on "The Matrix Reloaded".